On Thursday afternoon July 19, 2018 Cal Fire / Riverside County Fire along with Corona Fire and the US Forest Service responded to reports of a vegetation fire in the Cleveland National Forest above the City of Corona. The fire was reported around 3:08pm in the area of Skyline Drive and Burrero Way in the unincorporated County area west of Corona. The first arriving engine company reported roughly 5 acres of vegetation burning at a rapid rate. A significant amount of air and ground resources were requested as winds pushed the blaze towards homes in the area of Trudy Way and Foothill Parkway. As of 7:00pm the fire, dubbed the Skyline Incident, had burned 100 acres and was 0% contained. One helicopter from Angeles National Forest and one air attack have been requested to continue water drops for overnight operations. Evacuation Orders are in place for the Orchard Glen Community. Several streets in the are are closed. Road closures in the area include Foothill Parkway between S. Lincoln Avenue and Paseo Grande; Brannan Circle, Folson Circle, Trudy Way, Rawley Street, Elker Road, Corbett Street, Burrero Way, Burnett Circle, Gareth Circle and Fanning Circle. Maybe Canyon Road is also under a mandatory evacution order. An evacuation center has been set up at Corona High School. The cause of the fire has yet to be determined. 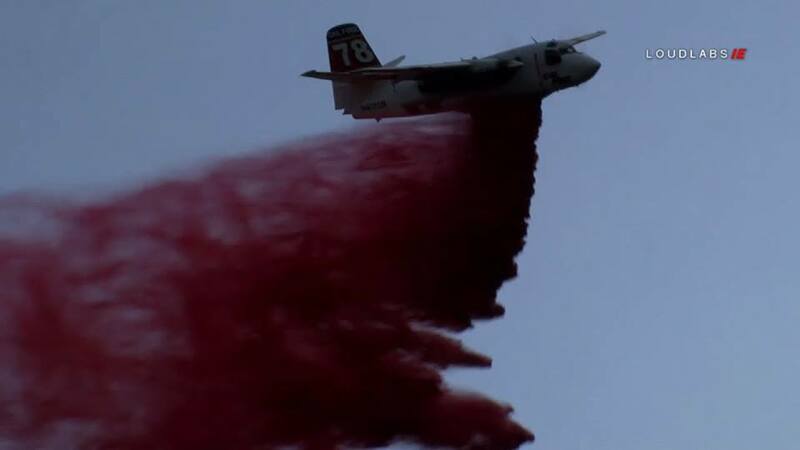 By 9:00pm most evacuations had been lifted and the fire was at 250 acres. Around 11:00pm two inmate firefighters were injured and transported to an area hospital with what appeared to be minor injuries.